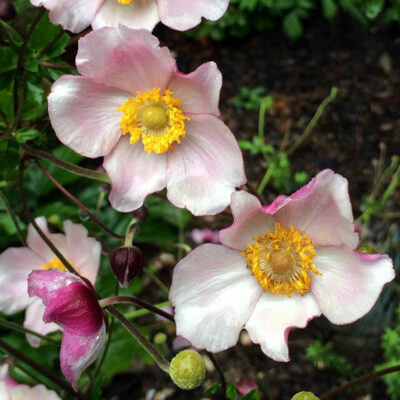 Not many plants can surpass the beauty of an anemone in the late summer garden. This anemone has large flowers, soft pink on the inside, deep rose on the outside and showy, golden anthers August-September. The flower buds are absolutely exquisite, looking like tear-drop rubies. 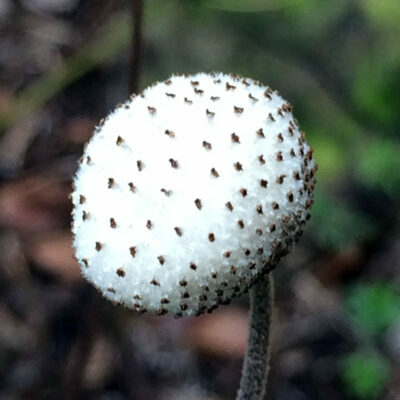 Seed heads form fuzzy tops that look like a cluster of frog eggs. Entrancing! This is a large plant, so site accordingly. 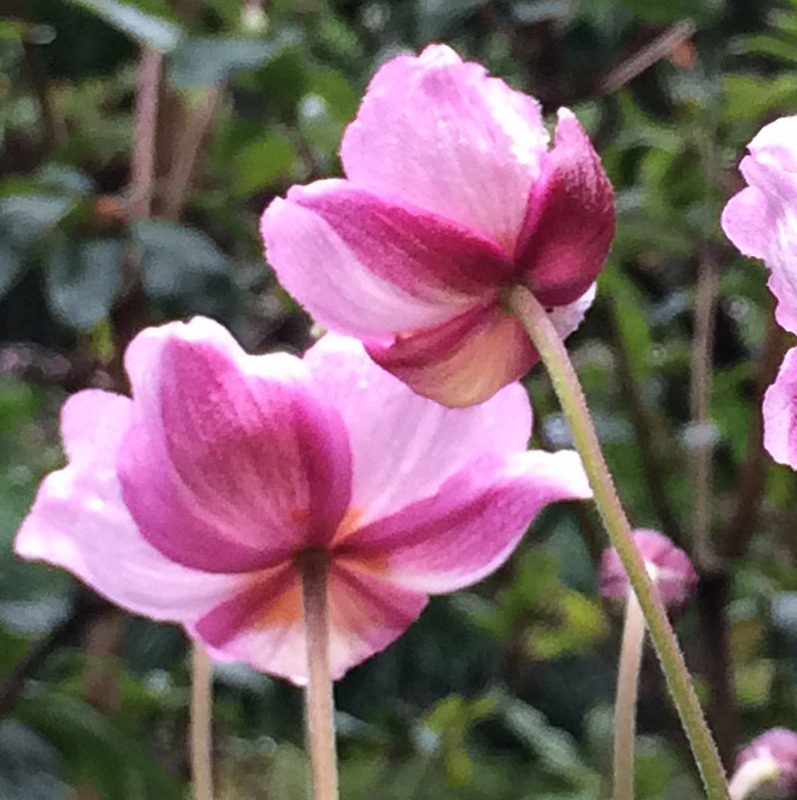 A good choice for a border and woodland planting. An excellent cut flower. Full-part shade. Average to moist soils. Height 3-4′. Spread 3-4′. Zones 5-8.